After several years in the making we have successfully crossed the power of Bomb Seeds marijuana seeds with an autoflowering ruderalis to create Auto Bomb. 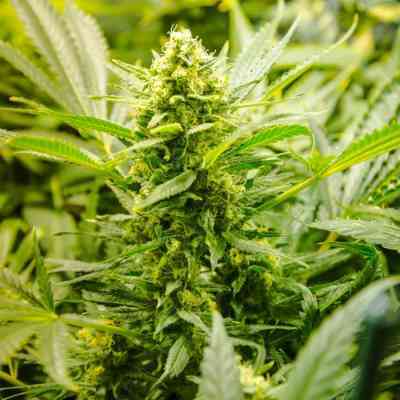 Auto strains are the latest sensation in cannabis seeds technology with Auto Bomb proving one of the strongest autos to date. Our breeder has worked tirelessly to perfect a fast finishing, high yielding, powerful auto variety. Auto Bomb has all the positive traits of a conventional auto producing abundant resin and an explosive covering of milky white trichromes. The main kola that forms is dense and heavy giving great access come harvest time for trimming shade leaves and branches. In a complex process Bomb #1 was crossed with a ruderalis and back crossed with a selected psychoactive haze. 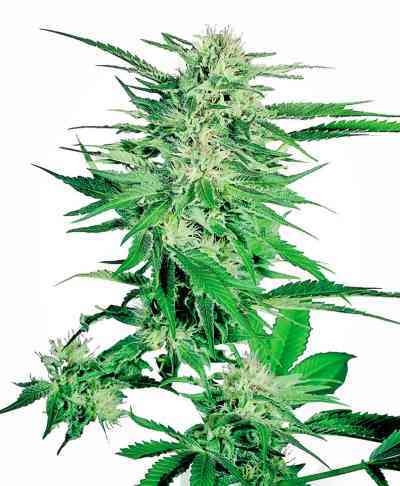 The result is an auto with much improved flavour, strength and potency which most autos lack. The plant can be ready from May to October and can be finished in as little as 65 days from seed. This is a real connoisseur’s auto with high THC and better yields while being exceptionally easy to grow. Auto Bomb is one of the largest yielding autos to date.